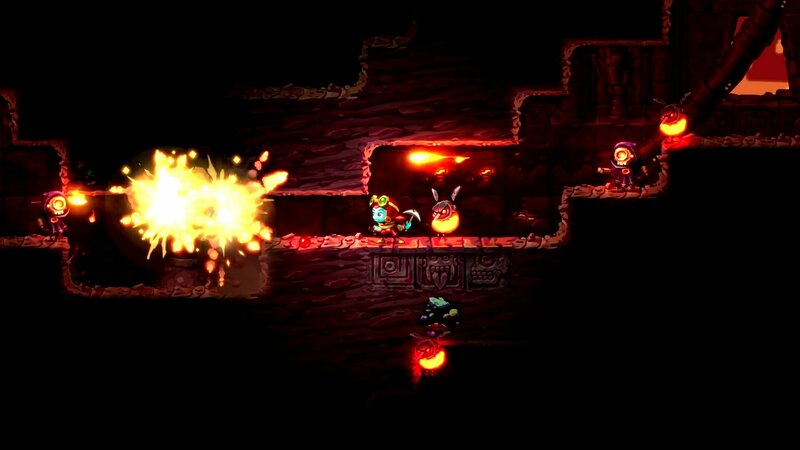 At GamesCom 2017, Nintendo showed game play of a popular independent game coming to Nintendo Switch, SteamWorld Dig 2. Dorothy, the steam robot sidekick from the original, award-winning game, SteamWorld Dig, has her own story to tell in SteamWorld Dig 2. Weilding a pickax, Dorothy digs deep for treasure and explores dungeons in this Metroid-style platformer on her quest to find her lost friend. 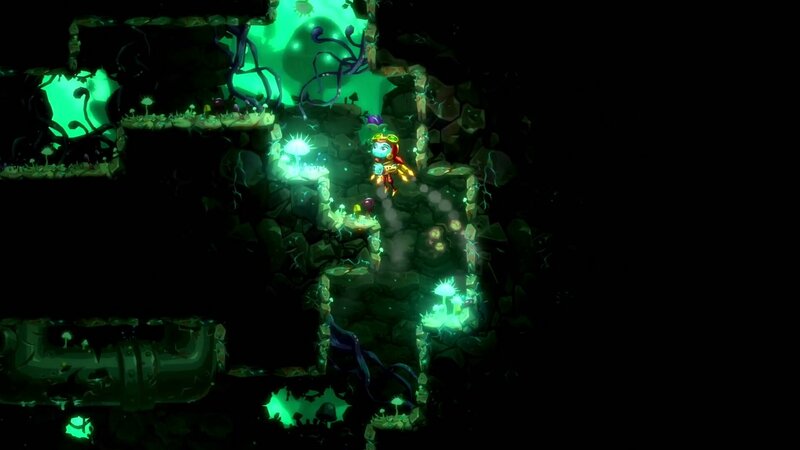 The original SteamWorld Dig set the player in a vertical platformer, requiring the player to dig straight down. SteamWorld Dig 2, in contrast, puts the player in a wider world, requiring the player to move left and right in a side-scrolling quest. Level designers strategically place unchoppable blocks, crumbling platforms, water pits and puzzles for the player to figure out. SteamPunk art designs fill Mayan-style dungeons as Dorothy hunts for upgrades to her mechanical body in order to navigate the dungeons, and she finds tradable gems to use as currency to power up her upgrades, much like in Castlevania. Exploring ancient temples, Dorothy also finds priceless artifacts which she can trade to a collector in a village for upgrades (Which is illegal in most countries). The digger Dorothy digs, the more amazing the gem stones and artifacts she finds. After releasing SteamWorld Dig on 3DS, Nintendo fans embraced the franchise, including the sequel, SteamWorld Heist. 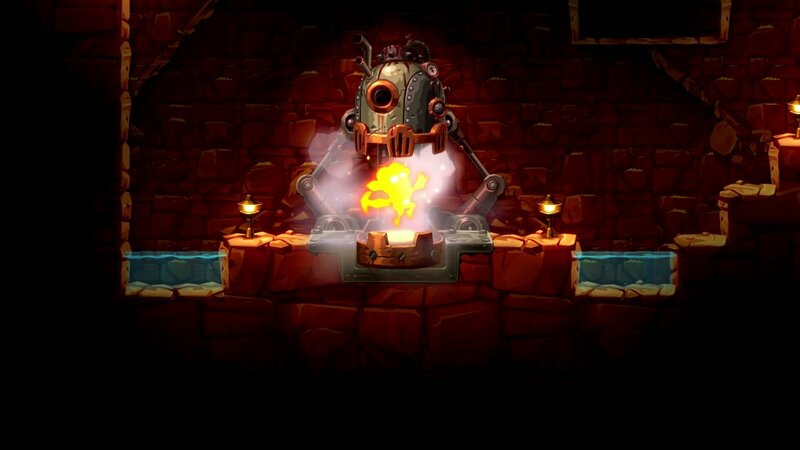 SteamWorld Dig 2 takes place in between these two games, connecting the stories and lore. Taking notes from fan feedback on the original game, SteamWorld Dig 2 is longer with many more boss battles than SteamWorld Dig. SteamWorld Dig 2, by Image & Form Games, will release on Nintendo Switch first on Sept. 21 (2017) and will then (the next day) be released on Steam and PC. 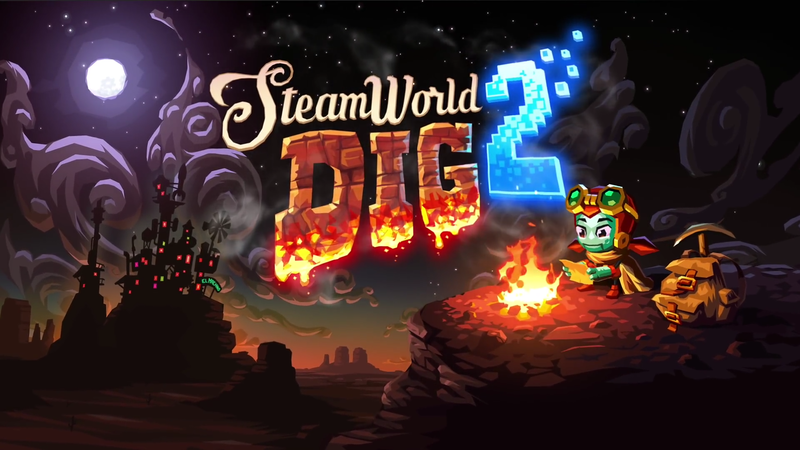 SteamWorld Dig 2 is also coming to Linux, PS4, PlayStation Store, PlayStation Vita and Windows. Developers with Image & Form chose Nintendo first because they said Nintendo saved their company. With all of the money they borrowed to finish SteamWorld Dig, they were certain they would go bankrupt. But Nintendo fans’ purchases saved the company from bankruptcy. Lack of money also forced them to leave out many things they wanted to do with SteamWorld Dig. Now they’ve got a second chance to accomplish everything they wanted in the sequel.